Ever sprained your ankle when you missed a step and find it turning red, warm, and painful? That area is most likely going through inflammation, and it can happen to anyone at any time when there is blunt trauma to that area or even an infection. It’s irritating, but inflammation occurs as part of your body’s way to heal wounds. White blood cells are released into the blood or affected tissues and protect your body from harmful pathogens that cause further problems. Don’t worry, you can treat inflammation with the right food. If you’re not into anti-inflammatory medication, here are some of the best low-carb foods to treat your inflammation! Before you start groaning about the thought of eating vegetables, leafy vegetables such as spinach and kale are one of those keto vegetables (see Perfect Keto’s guide) that can lower C-reactive protein in your blood, which is a sensitive inflammation marker. Currently, this effect is linked with the high fiber content of these vegetables. Foods rich in fiber also feed the good gut bacteria, which then releases substances that promote lower levels of inflammation in the body. Lately, there’s a big trend about consuming healthy oils on a daily basis, and it’s not just a fad! Healthy oils have their place in our diets, and many have been known to reduce inflammation in our body. According to Dr. Waseem Mir, a rheumatologist at Mount Sinai Hospital in New York City, most forms of arthritis is due to an inflammatory process, and consuming healthy oils can help alleviate the symptoms of arthritis. Healthy oils tend to have high levels of omega-3 fatty acids which help reduce inflammation. Healthy oils such as extra virgin olive oil, canola oil, and avocado have zero carbs, but they are dense in calories. One tablespoon of these oils has more than 100 calories! Different oils have different smoke points, so it’s wise to do your research on how you would consume them. Mackerel, salmon, and sardines are fatty fish that are rich in omega-3 polyunsaturated fatty acids (PUFA). As mentioned before, omega 3 fatty acids have been linked to reducing inflammation, especially in inflammatory diseases such as rheumatoid arthritis, Crohn’s disease, and inflammatory bowel disease. A study has also found that omega-3 supplementation may reduce post-exercise soreness and benefits athletes undergoing training to sedentary people or patients who are starting exercise programs or undergoing physical therapy. If you’re on a low-carb diet, then you’re in luck because the fish I mentioned have zero carbs! Canned fish such as sardines also contain omega-3 but be wary of the sauces and preservatives that come with it. Canned fish in tomato sauce tend to have a higher carb count than ones in oil. If you’re prone to inflammation and you don’t have eggs in your pantry, you’re doing something wrong! 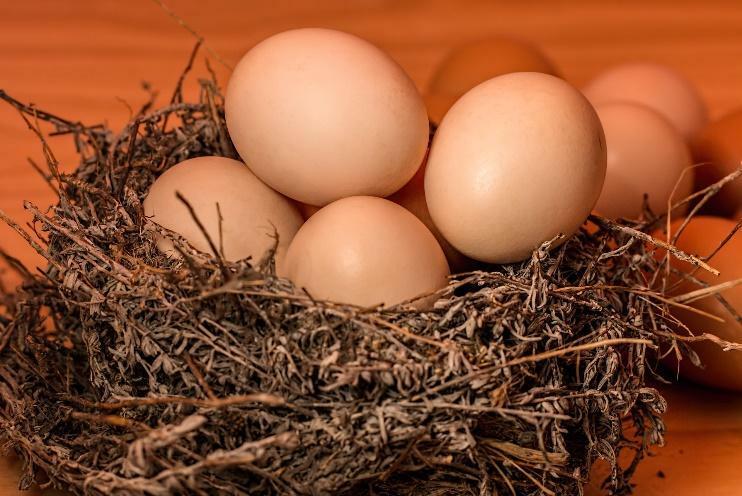 Eggs are dirt cheap and considered to be one of nature’s superfood. A study concluded that men who ate a low-carb diet that included eggs (around 3 a day) had lower CRP levels than men who did not eat eggs. The researchers speculate that this is caused by two properties of eggs: the cholesterol in eggs which increases “good” HDL cholesterol levels and an antioxidant called lutein in the yolk which lowers inflammation. 3 large eggs have only 1.8g of total carbs. Grapes are one of those fruits you just can’t stop yourself from plucking from the stem- and that’s great! These berries contain a mix of antioxidants which include flavonoids and resveratrol that have anti-inflammatory properties. A one-year study concluded that a subject group that consumed grape resveratrol extract had a 9.6% increase in the anti-inflammatory serum adiponectin. Grapes aren’t exactly low-carb, but because of its proven anti-inflammatory effects, I just had to include this one in the list. 100 grams of grapes has approximately 17g of carbs, which isn’t bad. To compare, a banana of that weight contains 23g of carbs. One seedless grape is around 5g, so adjust your intake according to your macronutrient requirements and you’ll be okay!